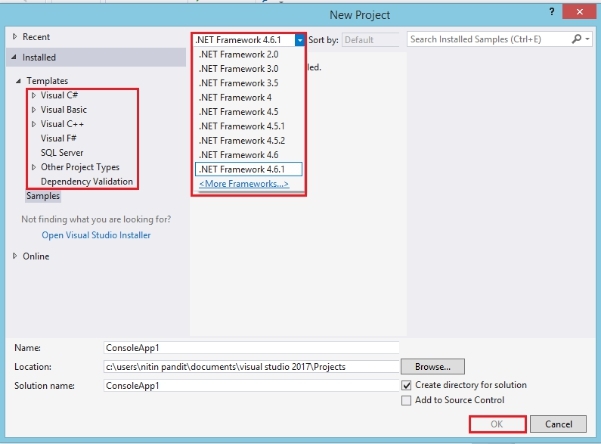 In this article, you’ll see what new things Microsoft gives you in Visual Studio 2017 Projects. Kindly welcome Visual Studio 2017 to the Microsoft.NET family. On Nov.16, 2016, Microsoft released a new version on Visual Studio with lots of new features and development tools, so let’s have a first look at Visual Studio 2017. Before knowing more about Visual Studio 2017, just install it into your computers/laptops. On needs to follow the URL to download Visual Studio 2017. Now, just click on the Free Download button and it will scroll down, where you can select your Visual Studio edition. I’ll recommend Visual Studio Enterprise Edition to be downloaded. 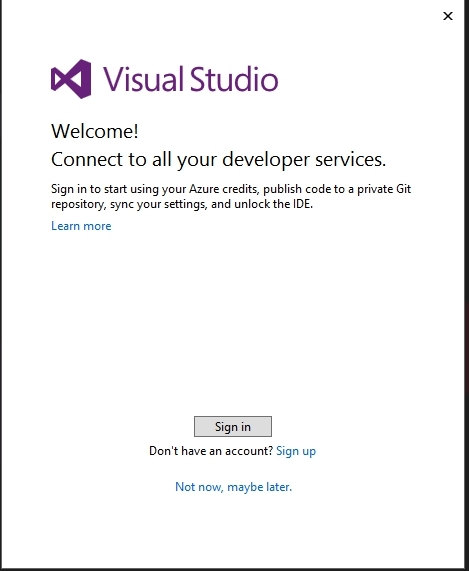 When you click on the download button, you’ll get Visual Studio enterprise installer, so double click on it. It will automatically start the installation process. Subsequently, you just have to follow the steps given below. 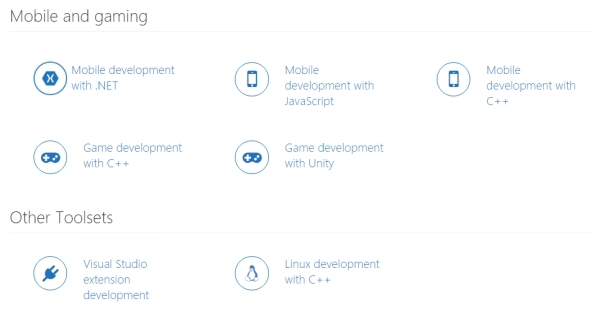 First Screen that you’ll get during installation is where you have to select the development components, which you want. I selected .NET Desktop Development, which allows us to create a Console app, basic Windows Form Application and WPF along with C#/VB compilers. 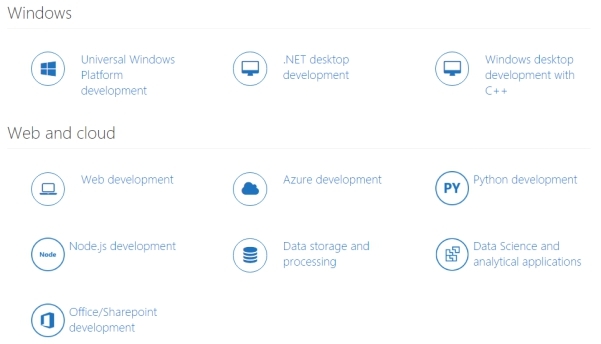 I also selected Web Development tools to create or use ASP.NET Web Application Development. Now, just press enter to start the installation. It’ll take time to get the installations done. After installation completes successfully, you have two options. 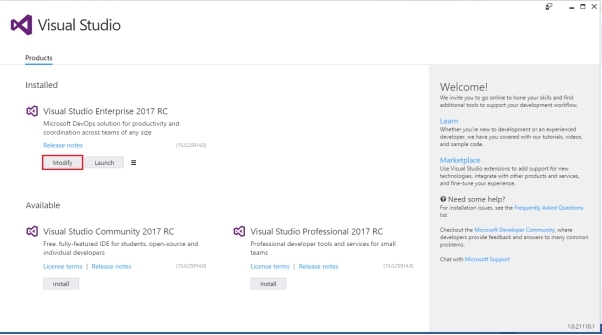 You can install more tools or can start the development with Visual Studio 2017 RC. You can add more tools than provided by Visual Studio, as shown below. Select Modify option from your screen, as shown below. Select what you want. Since I selected Python Development Tools, on right side- you can add individual components followed by installing size, which will increase, but if your Visual Studio is already started, you need to close it before starting to modify it. 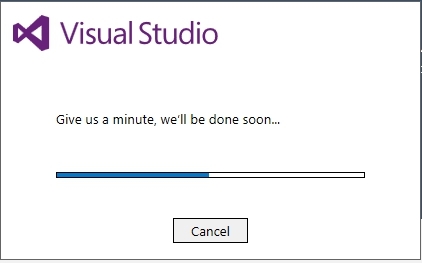 In the end, just press enter to start upgrading Visual Studio. 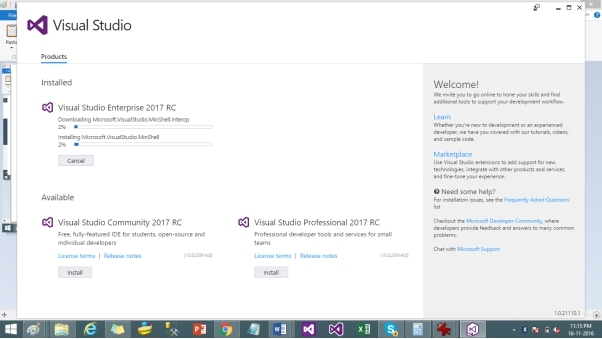 Now, click launch button to start your Visual Studio 2017 RC. 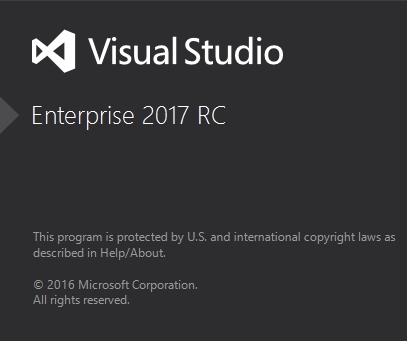 Now, let’s have a first look at Visual Studio 2017 RC. Just login with your Microsoft Account or Visual Studio account. 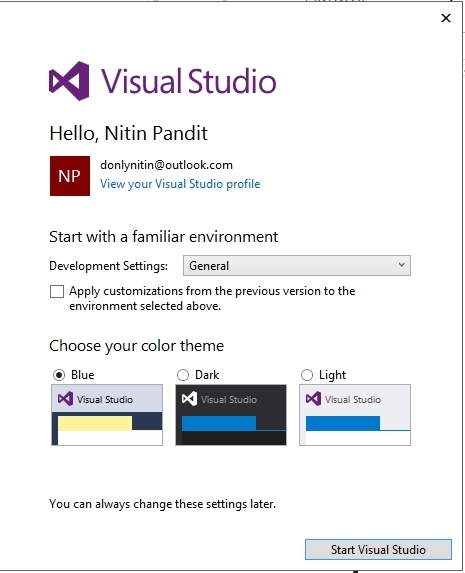 Now, set up the Development Setting VC#, VB.NET or General as default and also you can change the color theme, as per your choice and click Start Visual Studio. 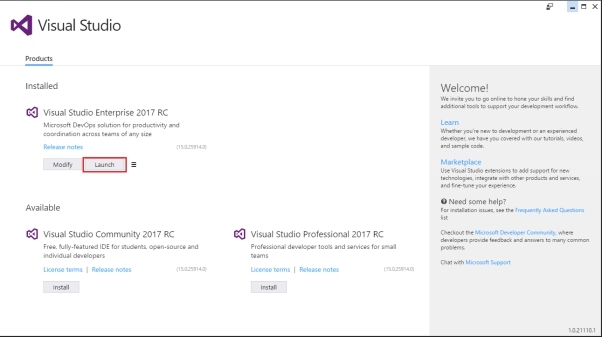 Finally we got the New Visual Enterprise Studio 2017 RC. Congrats. What are the changes in New Visual Studio 2017? Here is the list of where Microsoft has added changes in the new Visual Studio 2017. 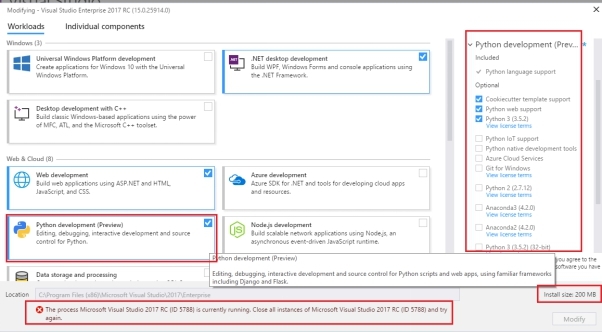 The GitHub extension for Visual Studio can be selected in the new Visual Studio installer. Visual Studio has been optimized to reduce the startup time and solution load time. The very first launch of Visual Studio is at least 50% faster. Visual Studio will now monitor an extension performance that impacts startup, solution load or editing. You will be alerted about poorly performing extensions via the Notification bar in the IDE. 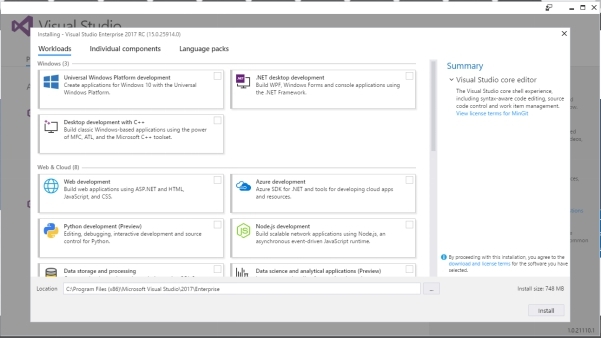 The new Performance Center (also available via Help | Manage Visual Studio Performance) lets you view not only the extensions that are impacting the performance, but also discover the Windows tools which are impacting your startup performance and change their startup load behavior. Reload all the projects which have been replaced with Reload Solution to support better performance of switching branches external to VS. When using the Git command line to switch branches, choose Reload Solution after the branch has switched in order to achieve the maximum performance improvement. File globbing capabilities for .NET Core and ASP.NET Core projects have been enhanced. See project file globbing for more details. You are now automatically taken to the folder view of your repository after cloning. 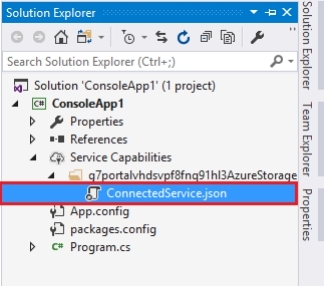 You can view the files or open Solutions with the new Solution selection list in Solution Explorer. A new external Service host is being introduced, which will replace VSHub. This new Service host is an external process and will appear in Task Manager as ServiceHub.Host.CLR. *.exe, as well as ServiceHub.Host.Node.x86.exe. This host will ultimately eliminate the localhost http traffic, which was introduced with VSHub, which should alleviate the noise Fiddler users reported. Pre-release license expiration messages more clearly communicates the current license state. The Account Settings dialog is now more accessible to the screen readers. The version control status bar makes it easier to publish local repos to SCC host and keep a track of uncommitted in addition to un-pushed work. Now, let’s go to create a new test Application in Visual Studio 2017. 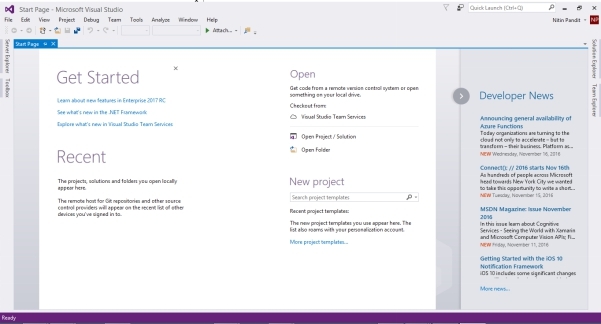 It is similar to the previous Visual Studio versions. You feel no change in this Window. 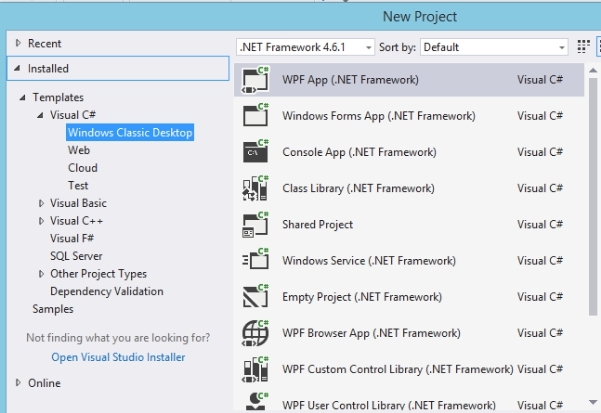 Select language template and .NET Framework version on which you want to deploy or build your Application. Finally, I select C# language template and Windows Classic Desktop with Console app. Give it any Application name and press enter. 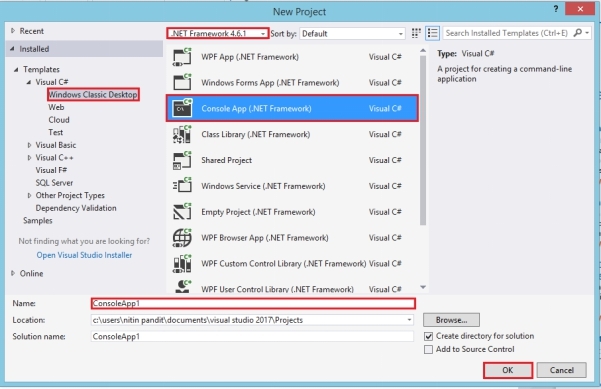 It’s creating your first app in Visual Studio 2017. This is your Console app with the default class code file Program.cs. Now, let’s see what we have new in our solution. 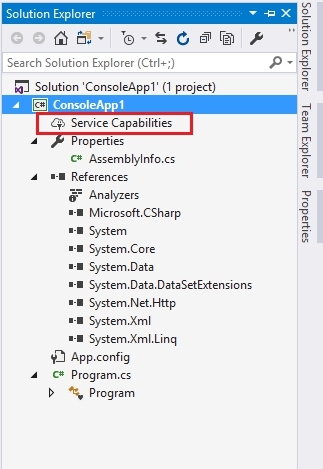 In Visual Studio 2017 projects solutions, we have a new thing which is “Service Capabilities”. Service Capabilities are actually used to add your Cloud storage like blob and many more directly from your Microsoft Azure Account. 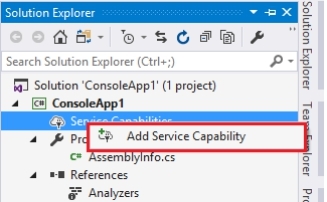 Right click on Service capabilities and find an option “Add Service Capability”. Now, in a new tab, we have a new option to add my Cloud storage from Azure Storage. Just click on it. If you already have any storage in your Azure account, you’ll get a list of all of them. Select any one which you want to use in this project or in the bottom side of this Window. We have an option to create and use New Storage Account. It’ll start adding all the required references of packages from NuGet Packages. Now, open your app.config file. We have a new item, which is automatically added in appSettings and is used to store Storage account details from Azure Storage, so we can use it in my project easily. 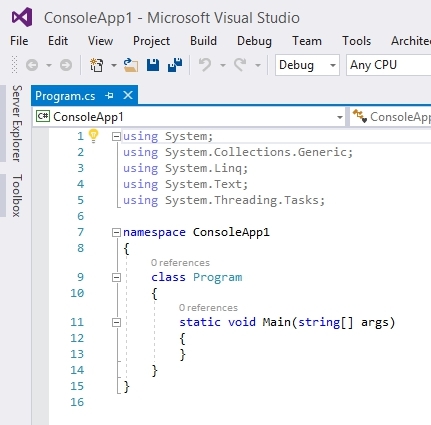 Now, enjoy your new Visual Studio with more new settings and features. If you are not aware about how to use Blob storage in ASP.NET or any other project, follow the link, mentioned below. Thanks for reading this article. I hope you enjoyed it. Stay tuned for new articles about C# 7.0, which consists of the new features in Visual Studio 2017.